Sitting at my desk today, I started writing out ideas for new recipes, as well as what I wanted to make for dinner. My husband was on the road all day today and I wanted to make sure he had some filling veg vittles when he got home tonight. 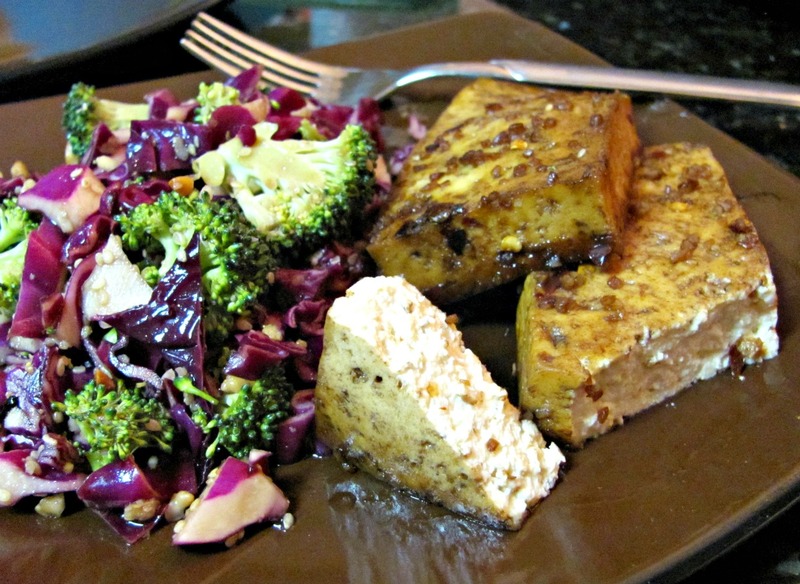 The Asian slaw went really well with this super easy tofu dish and hubby approved! Cut tofu block into 5 slices (one block usually yields about 5 servings, which is usually 5 slices). In a small bowl, mix all remaining ingredients together. Make sure sure you mix it well to combine the sugar and honey. In a small tupperware type container, add tofu slices and cover with the teriyaki sauce. Cover and place in fridge for at least 30 minutes. If you are making the Asian-style marinated vegetable salad to go with this dish, like I did tonight, I suggest preparing the Asian salad first and letting it start marinating while you wait on the tofu to marinate then finish cooking. 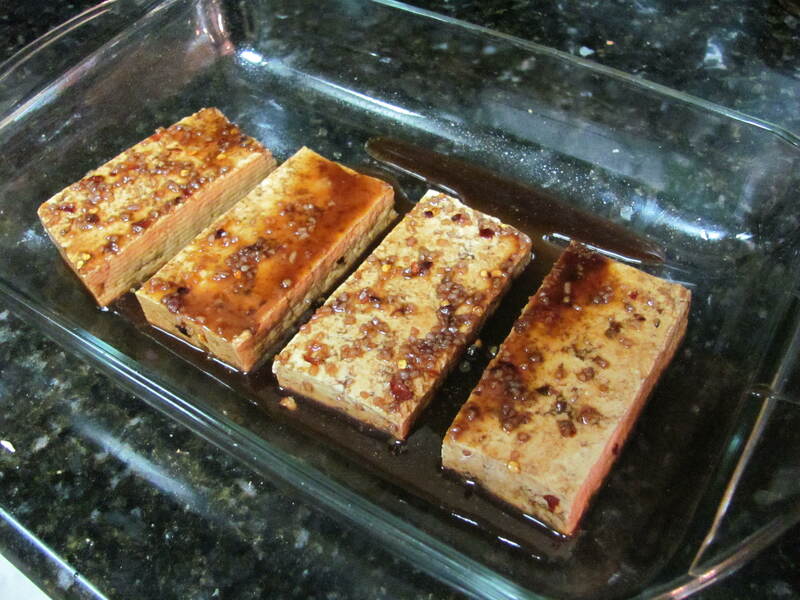 After the tofu has finished marinating, preheat the oven to 350. Place tofu slices in a pyrex type dish that is lightly sprayed with cooking spray. Bake for 30 minutes at 350, then increase temperature to 370 and bake for another 12-15 minutes. Let cool and serve! I challenged my hubby to have a a vegan week this summer. I’ll have to remember this recipe. I think he’ll love it! This one is absolutely great, and so is the lentil soup I posted tonight. I was spot-on with the spices. You don’t have to add the red chili and crushed red peppers if you don’t like spicy things. And thank you for the follow!